I happened to see your magazine in the hotel I have stayed in Kochi. Is it available in stores in Bangalore? Otherwise I would like to subscribe to your magazine. I especially like the gadget columns. I would also like to contribute some articles for publication. Sir Congratulations on an excellent August issue. I am a regular subscriber of your magazine. The quality and design of the magazine is excellent. Please include a section for entrepreneurs and business innovations. I am a regular reader of the magazine. The beauty expert column is really good. I get regular updates of your facebook posts. Quite informative. inichi Kawakami, a former engineer is Japan’s last Ninja. This 63 year old is the 21st head of the Ban clan. Ban clan traces its Ninja history back to some 500 years. He considers himself the last Ninja because there is no one else who has learned the skills directly from Ninja masters. Though he may not fit to the traditional image of a Ninja, he is an expert in the tools and techniques used by Ninja’s. rince William, who gets media attention for even minor things could not stay away media glare after he led his helicopter crew on a rescue mission. Prince William and his crew saved a teen aged girl from drowning. The girl was swept away by waves during their family holiday outing. The prince who is called Flight Lieutenant Wales in his unit commanded a rescue helicopter and pulled out the girl from the sea. The girl, her sister and her mother were then transported to the hospital. It was a narrow escape for the girl. nam is Kerala’s biggest festival, known for its agrarian origins; the festival is celebrated for 10 days. The Thiruvonam day is the most important day. One great thing about Onam is that it is celebrated across religion, caste, gender and age. Onam is the also the biggest shopping season in Kerala. The myth behind Onam says about Mahabali, a very efficient and just ruler who was send to the netherworld by Vamana, an incarnation of Vishnu. Mahabali was granted his wish to come back and see his people every year on the Thiruvonam day in Chingam, the first month in Malayalam Calendar. ulian Assange, the founder of Wikileaks, asked US President Barack Obama to stop the so-called witch hunt against Wikileaks. Julian Assange has now taken refuge in Ecuador Embassy in London to avoid extradition to Sweden. It was his first public appearance after taking refuge in the Embassy. Assange is fighting against his extradition to Sweden for alleged sexual misconduct. Ecuador has extended support to Assange and has strongly resisted Britainâ&#x20AC;&#x2122;s demand to let him in custody. Thousands of supporters gathered to hear him speak from the balcony of the Ecuador mission. imple Kapadia, the estranged wife of Rajesh Khanna said that he was destined to be a superstar. "I spent my life with him as I was 16 when I got married. He was not a normal man, he was a very special man," She was attending the inauguration of "Retrospective of Rajesh Khanna-Superstar Forever" at the Siri Fort auditorium. She continued that "there are so many things I can say about him but what is very very special about him is that his DNA was that of superstar." VS Laxman, Indiaâ&#x20AC;&#x2122;s batting legend announced his retirement from International cricket. In his career spanning 16 years Laxman won many matches for India. The most famous among his campaigns was the one against Australia; Laxman scored an elegant 281 along with Rahul Dravid to restrict the then mighty Aussies. Nobody expected Laxman to retire from International cricket; it was a surprise for many cricket enthusiasts. "I would like to announce my retirement from international cricket with immediate effect. I think its right time to move on", an emotional Laxman told the press. mit Midha, President of Dell, Asia Pacific and Japan has told that a combination of power blackouts, uncertain tax rules and difficult contracts make India a difficult place to do Business. India is already grappling with economic slowdown and inflationary pressures. Multinational companies often find it difficult to adjust to the bureaucracy in India. iesel is a very sensitive commodity; even a small price hike will bring a big backlash. The hefty subsidy of diesel is made use by people across India. Government can continue to give out subsidies but the fiscal deficit is growing and that is alarming. So the decision to take away the subsidy has to be implemented to reduce the fiscal deficit. The government which is on defensive with corruption allegations, inflation and an economic slowdown suddenly cannot make such a drastic decision. ahindra &Mahindra, India’s leading utility vehicle manufacturer will launch its new compact SUV called Quanto in September. Quanto is a sub four meter vehicle developed by the Mahindra team. The Quanto is based on the much popular Xylo platform. Major competition for Quanto will be the Maruti Suzuki Ertiga, the Renault Duster and the yet to be launched Ford Ecospirit. M&M previous launch the XUV 500 was a major success. he Reserve Bank of India has announced that it will be releasing 1000 rupee currency notes with the rupee symbol and more safety features. The existing 1000 rupee currency will continue to be legal tender. In a statement the RBI, the central bank announced that the new notes will have the letter ’L’ in the numbering panels. The year 2012, which is the year of printing, will be printed in reverse. The design will be similar to the existing 1000 rupee notes. The new currency will be signed by D.Subbarao, the RBI governor. tock Market is a place where lot of money is made and lot of money is lost. Nobody wants to lose money. Here are some basic norms and tips, to make sure that you don’t lose your money in the stock market. Don’t put all your eggs in one basket. Old adage; yes same for the stock market. Never invest all your money into one company. Diversifying into different companies and sectors means that you are reducing the risk. The basic logic of business should be observed, buy stocks when they are a low price and sell when they are high. There are various finance portals where you can research on stocks. Invest in fundamentally strong companies. Look for the company performance, business and integrity. Invest some time to learn the basic concepts of investment like the P/E ratio, the internal rate of return etc. Then analyze the finances of the company you want to invest into. Have patience with your stock, stock prices fluctuates all the time. Look for long term results rather than making shot term gains. Keep a track of your trading and your profit. As someone gets into active trading, it will be difficult to track your investment, profit and brokerage once you lose track. Spend some time everyday to track your finances. Analyze market trends. Market trends are good indicators of the way market is progressing. Market experts provide insight into market trends. Research before you invest; sound research is the root to success. It is always best that you yourself do the research, if you don’t have time, get it from somebody who does it professionally. Be ready to lose something to gain something. Ideally the stock market return should be considerably higher than returns from a term deposit. Otherwise there is no point in investing in the stock market. There is no right time or wrong time to enter the market. Markets keep fluctuating and there is no upside and downside. Be careful about the stocks you pick because there are always some right stocks to pick. Fundamentally strong companies are prone to less fluctuation. various facilities and freebies offered by banks to students who open account with them proves otherwise. In fact going through the facilities provided to students savings bank accounts , it appears like banks are treating the student community as High Net Worth Individuals ( HNIs) or priority class customers . If “Customer is the King” , with the facilities as mentioned above being offered by banks to students, I think for banks “Students are the Emperors” name of the account holder are also offered. For attracting students to maintain higher balance in their saving account auto sweep facility is activated by many banks. Auto Sweep facility helps the students to earn higher interest on the funds maintained with the bank by transferring the amount in excess of certain specified limit to fixed deposits . Thus against a 4 per cent interest eligible on SB accounts the students can enjoy interest of 8 to 9 per cent on the fixed deposits, if higher balances are maintained. Considering that the younger generation is very tech savy most banks are offering internet banking and mobile banking facility free for their students savings accounts. These facilities enables the students to enquire about balance in the account, download detailed statement of accounts , transfer funds , pay utility bills, hostel bills, tuition fees etc. without the constrains of place and time. Banks generally prefer to issue only debit cards to students and cheque books are issued only if the age of the student is more than 18 years. Students don’t have to bother about fetching their bank ATMs as many banks offer other bank ATM transactions free, up to certain number of transactions per month. Apart from the free “click” banking services, in many cases transfer of funds from the parent’s account to the child’s account is also offered free of charge, so that the child’s college fees, tuition, living expenses etc. are taken care of. A parent can also give a standing instruction to the bank for crediting a specified amount to the child account for meeting the various expenses. The most attractive feature of the Students Savings Bank ( SSB ) account is that the accounts can be opened with zero balance at most of the banks. Some banks insist on an average balance to be maintained in the accounts , but there are also banks who don’t insist on such minimum balances. When compared to the formalities for opening a normal Savings Bank ( SB ) account , opening a students savings bank account is very easy. In many cases documents and introduction from the educational institution itself is accepted as sufficient for satisfying the Know Your Customer ( KYC ) norms. A copy of the student ID card issued by the educational institution is mandatory for opening a students support savings account with almost all banks. The entry age varies from banks to bank. Even though some banks restrict students savings account to students of professional colleges only, majority of the banks provide this facility even for school going children. A savings account opened in the name of the child at the young age helps in inculcating a habit of savings and thrift in the minds of the children. It also adds to the self confidence of the child and to some extend helps in learning to manage their finance on their own. First hand experience and exposure to the financial world would definitely be a good learning experience for kids. If “Customer is the King” , with the facilities as mentioned above being offered by banks to students, I think for banks “Students are the Emperors” . ill the other day, India’s gold loan NBFCs set the pace for growth in the financial services sector. Is it now headed the microfinance way? After all, many observers have drawn parallels between the two to conclude that gold loan NBFCs are headed towards the same troubles that India’s Microfinance Institutions (MFIs) find themselves in. There’s an old saying that there can be no smoke without fire; surely, there’s some truth in these fears? Well, as it turns out, there’s none. For all its superficial similarities, the worlds of microfinance and gold loans are as apart as chalk and cheese. Microfinance caters to those at the bottom of the pyramid. By definition, gold loans cannot be about the bottom of the pyramid because it presumes ownership of some measure of gold which is a form of savings in India. At the same time, given the way that gold loans and micro finance emerged from the backwaters almost simultaneously, analysts would certainly feel tempted to draw parallels. Moreover, direct comparisons between Manappuram Finance and SKS Microfinance are perhaps inevitable because both companies attracted the attention of international private equity firms around the same time. Manappuram drew private equity investment for the first time in 2007 when Sequoia Capital came in along with Hudson Equity Holdings. At the time, Manappuram was already a listed entity, having had its IPO way back in 1995. On the other hand, SKS attracted investment from PE funds, including Sequoia capital, in 2008. In August 2010, it came to the stock market with a hugely successful IPO. For a short period, the SKS stock was a darling of the investor community and made handsome gains. A couple of months later, it all began to unravel in a sequence of events too well known to need recounting here. Against this backdrop, how do gold loans square up against microfinance? The essential difference is that gold loans are fully secured while microfinance loans are unsecured. What’s more, gold is also an ideal security for a loan because its value does not depreciate with time, it is easy to store securely, and it has liquidity with minimal transaction costs. Thanks to these virtues, the gold loan is almost always fully covered by the value of the security. The lender does not fear losing his money; he’s never under pressure. In contrast, the microfinance loan is unsecured. It requires vigorous follow-up and constant personal contact with the borrowers to keep it in good standing. Often, lenders feel pressurised for recovery, leading to abusive practices. Further, gold loans can be taken only after parting with gold jewellery to which borrowers are often sentimentally attached. This is a natural check against frivolous borrowings. With micro-finance, many ended up borrowing merely because the money happened to be available. Since no upfront sacrifice was called for, it appeared to be easy money, tempting them into consumption beyond their means. In a gold loan, the physical custody of the gold is held with the lender. In this way, the borrower’s ability to go for further borrowings is limited until the loan is repaid and the security redeemed. Being unsecured, microfinance is susceptible to abuse both by borrowers as well as by lenders. In the absence of a foolproof information sharing mechanism, a borrower can merrily go ahead with multiple loans from different institutions and plunge into a debttrap. Likewise, loan officers of MFIs with performance targets to meet (and incentives to claim) have pushed multiple loans to borrowers without verifying whether the loans were being put to productive use—a basic principle of microfinance. Indeed, the issue of multiple loans taken by poor borrowers and consequent repayment problems was at the root of the crisis facing MFIs in Andhra Pradesh. Their field staff became aggressive and resorted to heavy-handed tactics for recovery. For a while they could get away with it because they were dealing with a vulnerable class of people not fully aware of their rights. But then, stories of harassed borrowers committing suicide began to surface. Soon, it became a tide of negative publicity. This was the cue for the political class to step in and in no time microfinance was dealt a body blow. By contrast, the only recovery measure required in gold loans involves despatch of a series of notices to defaulting borrowers ending with a notice of forthcoming auction. There’s never a need to go chasing after borrowers or traumatise them in other ways. And yet, default rates in this sector have consistently been less than one percent, even during times when prices were depressed. (For example, between 1996 and 1998, gold prices here crashed by a third with little impact on repayments.) Clearly, gold loans belong to a different class not to be lumped with microfinance. Yes, there was a confluence of forces that went on to wreak havoc on microfinance in India. But, the expectation that an action replay is waiting to happen in gold loans is unwarranted. he most expensive SUV in the country is here. Conquest vehicles Inc Canada in partnership with Magus Cars Ltd India launched Evade, an unarmored SUV with a price tag of 8.5 Crores. "Evade is a revolution to the Indian SUV unarmored segment. With our patrons exhausted with the current limited options available, they are now eagerly awaiting Magus Cars to bring to market fresh and innovative brands such as the upcoming launch of Conquest Vehicles' EVADE by the end of this year," said Jatin Ahuja, Vice President, The Magus Group. enault will be launching their version of Nissan Sunny, christened Scala in India. The release will be in early September. Already the car is getting good reviews. Renault has done a good job to transform the dull looking sibling Sunny. Scala looks more sophisticated and aggressive. Scala therefore is supposed to bear a bigger price tag than Sunny. aimler India Commercial Vehicles, the 100-percent subsidiary of $142-billion Daimler AG, will launch some super trucks on Indian Roads. The trucks will carry the brand name BharatBenz. The trucks will be made with the Indian Consumer in mind. The trucks will have travel across different terrains, bad roads and even where there are no roads. aruti Suzuki will be reportedly launching an Automatic Variant of the Ritz in India. The launch will be along with unveiling of the face lifted Ritz. The car will get more frugal diesel and petrol engines along with cosmetic upgrades like the Swift. The Ritz which is called Splash in other major markets is one of the hottest selling cars in the Suzuki portfolio. eports say that Maruti will be launching the ultra small car Cervo this Diwali in India. The Cervo will be aggressively priced between 2-2.5 lakhs. Pictures of Cervo are posted across auto websites but there is no confirmation from the Maruti side. The Cervo is replacing the iconic Maruti 800. Wait and watch. he 3 series has always been an attraction in the BMW line up. It is often referred as the best car to drive. The new BMW 3 series is no exception. Even though it continues to look a lot like its predecessor there are certain changes. The new 3 series looks like the 5 series at certain angles and elements of design is adapted from the flagship 7 series. Adopted by the world leading business schools, MBA programmes and marketing practitioners alike, The New Strategic Brand Management is simply the reference source for senior strategists, marketing and brand directors and postgraduate students. Over the years it established its reputation as one of the leading works on brand strategy but also has become synonymous with the topic itself. The new edition builds on this impressive reputation and keeps the book at the forefront of strategic brand thinking. Thoroughly updated, transformed and enriched, it is essential for understanding todayâ&#x20AC;&#x2122;s brands and managing them efficiently in todayâ&#x20AC;&#x2122;s markets. Adapted to reflect the issue of low cost competition the main challenge facing brands all over the world, it contains significant new content reflecting the ultracompetitive environment. Anyone who leads a team or is part of one understands the day-to-day challenges of managing and working with a group of individuals. How can we get the team to be more than the sum of its parts? Why isn't the team performing up to its potential? How can we get people to work together more effectively? According to young Cambridge professor Mark de Rond, key team-management dilemmas such as these are the same in sports as in business. Though sports metaphors are used profusely in everyday business parlance (we level the playing field by sending in the heavy hitters who happily step up to the plate or take one for the team, even as the goal posts have moved), these flip phrases can disguise the serious and substantial lessons that can be learned from the world of sports and applied to business. For example, the iconic team-building phrase favored by business consultants and managers, "there is no I in team," may be lexicographically correct but as a team guiding principle it is profoundly impractical and flawed. Through numerous examples from sports, highlighted by quotes from distinguished coaches and players around the world, de Rond shows what team leaders can learn by focusing on the individuals within them. Sanghi's first novel, The Rozabal Line, was self-published in 2007 under his pseudonym, Shawn Haigins. The theological thriller based upon the theory that Jesus died in Kashmir was subsequently published by Westland in 2008 in India under his own name and went on to become a bestseller, remaining on national bestseller lists for several months. His second novel, Chanakya's Chant, a political thriller with roots in ancient Mauryan history, shot to the top of almost every bestseller list in India within a few weeks of its launch. The novel went on to win the Crossword-Vodafone Popular Choice Award 2010, film producer UTV acquired the movie rights to the book and the book remained on AC Nielsen's Top-10 throughout 2011-12. The Krishna Key, Sanghi's third novel, is a furiously-paced and riveting thriller that explores the ancient secrets of the Vedic age and the Mahabharata. India is a story of hope and despair, darkness and light, chaos and glory. Ramachandra Guha tells the story of modern India, its creation and its progress with a well researched elegance. The story of India has always been a captivating one, but Guha gives it fresh insight by the sheer volume of details he provides, not just on India's longest serving prime ministers, Jawaharlal Nehru and Indira Gandhi, but also about the lesser known and marginalized people of India – the peasants, workers and tribals. The compelling book focuses on the conflicts as well as the triumphs that India has seen since its inception. The bloodshed of the Partition, the humiliating defeat against the Chinese, the miracle of the Indian elections, the dark days of Emergency, the triumph of the Bangladesh liberation are all chronicled in detail in this book. under communal riot, rampant corruption and illegal activities. The author writes about the complexities of life in Mumbai with almost sincerity. The good Muslim selling heroin while complaining about brazen women, the queenly beggar woman who makes the street her living room, and the Hindu praying in church, an action that saves her from the mob but not her fate. A subplot on a murderer also runs parallel but that doesn't add much to the story, and a dud note is struck when Dimple starts to opine on Baudelaire and Cocteau. In a shiny nightclub full of plastic and aluminum, Rashid's son stares at the scantily clad women. He sells cocaine. He dances. He is a good Muslim in his own eyes. He might consider becoming a suicide bomber when the time is right. Narcopolis is an interesting reading that may go on to win prestigious awards. Go on and grab a copy from the nearest store. witzerland is known as The Land of the Alps. This beautiful country is bordered by France, Germany, Italy and Austria. Switzerland is one of the richest country in the world. It is also one of the worldâ&#x20AC;&#x2122;s most favourite holiday spots. Switzerland is famous for its banks, watches and chocolate apart from tourism. Switzerland Zermatt Zermatt is one of the beautiful ski resorts in the country. It is located near the tallest peaks in the Swiss Alps. Much of the local economy is driven by tourism. The Chillon Castle The most famous castle in the country, located on the shores of Lake Geneva. It also has three courtyards and four great halls which offer magnificent views of the lake beyond. Swiss Transport Museum The Swiss Transport Museum is located in Lucerne; it is a large exhibition place of locomotives, ships, planes and cars. Schilthorn and Piz Gloria. The Schilthorn is a mountain in the Swiss Alps. There is a famous revolving restaurant on the heights of this mountain. The Tropical Alps A place close to Italy where you can feel a little bit of the tropic and glaciers. The place is famous for its rich culture Appenzellerland This is much of a rural area. People of Appenzellerland like to dress up in traditional costumes. The area is popular for the Swiss cows and cow shows. Zurich This old town has a history of more than 2000 years. The city of Zurich is a cosmopolitan city with cafes, fashion boutiques and a lot of activity. Shoppers crowd the city of Zurich for the amazing things it offers. Aletsch glacier The glacier is the largest and the most beautiful along the Alps. It features in the world heritage site place. It is an all important and famous tourist location. ahabaleshwar is a popular holiday resort, honeymoon spot and an important pilgrimage site for Hindus. Among the hill resorts of Maharashtra state, Mahabaleshwar and Panchgani are very popular hill stations in Maharashtra because of its placid lakes, verdant hills and cascading waterfalls. Tucked away in the Satara district, they can be best approached from Pune as well as Mumbai. The commercialization has affected the hill resorts of North and South India but these two resorts Mahabaleshwar and Panchgani offer a clean, calm and t h o ro u g h l y re f re s h i n g a l t e r n a t i v e . Mahabaleshwar is regarded as the queen of hill stations in Maharashtra. On reaching the top of Ambenali Ghat when travelling from Mumbai, your lungs get filled with air which is fresh, cool and has the scent of the herbs. One suddenly feels the difference after inhaling the scented air. Tourists from the metro cities feel excited, when they drink the naturally cooled water even in the months of April and May. As a result, of the pollution free air and water one feels so energetic one feels like travelling and watching the sightseeing points nonstop. Mahabaleshwar is perhaps the only place in the country which offers various activities like boating, fishing, horse riding, trekking and playing golf on the gorgeous nine-hole golf course built on the edge of a cliff. Overlooking the Krishna and Koyna valleys, Mahabaleshwar, at an altitude of 1372 meters opens up a whole world of picturesque delight. With an air of unspoilt beauty, it is a paradise for nature explorers, peace lovers as well as for filmmakers. Numerous majestic mansions built during the days of the British, still stand as monuments of the Raj. Make accommodation arrangements well in advance before the journey since Mahabaleshwar gets crowded during summer holidays and long weekends. Mahabaleshwar is named after one of Lord Shivaâ&#x20AC;&#x2122;s names Lord Mahabali, enshrined at the Gokharna temple in the form of a selforiginated lingam, shaped like a rudraksha and considered to be the most sacred amongst the other twelve yothirlingams. Circled by a five feet wall, the Lingam in this temple gets high regard from devotes across the world. After the construction of a new highway, it is only a five-hour drive from Mumbai. Mahabaleshwar is famous for the honey and strawberries. What remains strongly associated with Mahabaleshwar are the strawberries. One can visit strawberry farms to enjoy the true flavor of the fruit. If one visits during the strawberry season (October to March), it is possible to see fields with rows of strawberry shrubs. Mahabaleshwar is extremely popular because of its placid lakes, verdant hills and cascading waterfalls. Mahabaleshwar has many points offering splendid views of flat-topped ghats, dense forests and lush green valleys. Another tourist attraction is the Sangam, or the confluence of the five rivers that flow over the Deccan Plateau. Mahabaleshwar can be visited at any time of the year though it is wise to keep away during heavy monsoon. October to May is remarkably pleasant with moderate to cool climates and ideal for all sightseeing activities in Mahabaleshwar. June to September is suitable for honeymoon couples in Mahabaleshwar and ideal for short sightseeing. Being a summer resort people from the surrounding cities rush in the summers the best time to visit Mahabaleshwar is from October to June. The Sparkling brooks, the lush greenery and the cool breeze make Mahabaleshwar seem like an oasis to the city dwellers who need a break from the heat, pollution and stress. HOW TO REACH By Air :- Pune, located at a distance of 120 km is the nearest airport. If you plan to travel to Mahabaleshwar by air, you can board a flight till Pune, and then easily avail a bus, taxi or a private car from the Pune airport. By Rail: - The nearest railhead from Mahabaleshwar is Wather, located at a distance of 62 km from the city. But if you choose to travel to Mahabaleshwar by train, the Pune railhead, located at a distance of 120 km, is comparatively more convenient than the Wather station, because of its better connectivity to Mahabaleshwar. By Road: - From Mumbai, Mahabaleshwar is 285 km (via Pune route) and the distance is about 247 km (via Mahad route). There are regular state-operated buses that travel to Mahabaleshwar from the nearby cities of Pune and Mumbai. for the excellent fast food provided ranging from Pizza, Burgers and a lot more. Babington point Babington point, which is two km from the bazaar, offers a beautiful view of the Koyna valley and Chinaman's waterfall. Helen's point is about a kilometer's ride from here by the Blue Valley road. It takes one into the midst of the valley and gives an enchanting view of tiny fields and neat little huts. Connaught Peak and Hunter Point Connaught Peak and Hunter Point are situated off the Old Mahabaleshwar Road. Connaught Peak is the second highest peak of these hills. It offers a panoramic view of the Vena Lake and Krishna Valley. It was first known as Mount Olympia and was a favorite spot for riders. The Duke of Connaught was so enchanted by its majestic view that he could not resist the temptation of associating his name with the spot. Hence in 1880, Mount Olympia became Connaught Peak. From here one can see Old Mahabaleshwar and Elphinston Point to the north, Pandavgad and Krishna Valley to the east. Lodwick Point Lodwick Point is named after a General who reached this point in 1824. The most exotic view of the forest, from the parking area a walk leads to the top of a summit where lies a monument erected in memory of general Lodwick erected by his son in 1870. He was the first European to set foot on the Mahabaleshwar hills. Beyond Lodwick Point is the extreme end of the mountain range known as Elephant's Head. It is only 12 feet to the Koyna Valley below from Lodwick's point, the overhanging cliff looks like an elephant's head and trunk, and hence the name. his month’s discussion is on Ayurveda’s role in dealing with life threatening diseases. Although there are many life threatening diseases, two among them calls for special attention. They are Cancer and AIDS (Acquired Immune Deficiency Syndrome). The following is a glimpse into the possibilities of dealing with these diseases. W.H.O’s target to win over these diseases has just 5 years left. Many diseases thought to have been eradicated are coming back with added vigor. Besides, diseases like AIDS and EBOLA have emerged causing fear among the public and healthcare workers. Although scientists all over the globe are working day and night to find a permanent cure, W.H.O’s target seems unachievable in the near future. Ayurveda masters had a clear understanding of the complexity and toughness of this disease hundreds of years back. been developed through the intense search to subdue diseases the natural way. The Rasayana’s and other Ayurveda treatments are all formulated to sustain health and longevity. Rasayanam treatment methods are formulated to give complete vitality to all parts of the human body. There are two types of Rasayana treatments. For the healthy, there is Rasayanam to attain absolute vitality, and for the sick, it is to defeat the disease. Vitality is a fundamental requirement for full potency. It creates the aura, which is the result of the entire supply of essential minerals required for the human body. A body with complete mineral supplementation becomes potent with vitality and no disease causing germs will be able to overpower such a body. Even modern medicine accepts the fact that only a body lacking vitality can be susceptible to diseases. With continuous research, Ayurvedic system of treatment can develop Rasayanas and other energy boosting medicines. It will then be possible to control the HIV to a level where it can arrest secondary conditions like dysentery, lack of appetite, fever, loss of weight, enlarged glands, mental imbalance, memory loss etc. Such a ‘pro host therapy’ could help HIV patients to live in the society with dignity and less dependency. Companies like Amala and Nupal Remedies have already taken steps to make this a reality and shed new light on this welldeserved cause. There are numerous efforts in place at different parts of this country to subdue this fierce disease through the use of natural remedies. Let us hope and pray that these efforts will bring results in the very near future. Meanwhile, all of us who are dedicated to this mission request the entities that come across as experts and claim the sole monopoly on medicine, to be less discouraging to our efforts. Ask The Smile Expert Q: I had a dark decay between my upper front teeth and was filled with tooth coloured filling some months back but now it has become dark and could be seen as filled. I have lost my confidence in smiling. Please advise a permanent solution for the problem. A: The front teeth could be filled with a nano ceramic filling material to mimic the tooth substance to a great extent. But if the decay is large and very dark and if the previous fillings are getting dark, it may need a custom made ceramic veneer to restore permanently. The veneers are thin ceramic flakes that can be fabricated to exact colour size and shape to correct the deformity. Q: My grandfather has changed his dentures recently he is having difficulty in chewing since then. His lower front teeth is now in a forward position to the upper teeth. His facial features have changed and we are not at all happy. can you tell me what could be the reason and how we can correct it? A:The problem should be because of the change in the vertical dimension as compared to the original natural teeth or the previous dentures. Although it is very difficult to achieve the exactly similar facial features of an old denture wearing patient due to the difficulty in replicating the wear and tear in the denture, we can correct the vertical dimension to achieve good facial features and proper function in the elderly. If there any problems with retention we can use retentive implants to add retention. Q: I do not have any decayed or missing teeth.I am very punctual in maintaining my hygiene and do regular dental check up twice a year. But recently I am having severe pain in the right upper back teeth and it feels as though they are longer. This is causing headache too. What could be the reason and pleae advise on treatment. The pain in the upper back teeth without any dental decay or gum problems may be due to sinusitis please do visit an ENT specialist. The inflammation in the maxillary sinus can impinge on the roots of the back teeth causing pain and discomfort in chewing. You may use a s t e a m i n h a l a t i o n t o re d u c e t h e infalmmaton.
? Q: Can a bad massage have damaging effects? There is always a risk that a bad massage could cause problems. For instance applying considerable pressure to the wrong part of the body or at the wrong angle and so on could cause strains, sprains and even worse. Therefore when receiving a massage make sure it is from someone who knows what they are doing. In general nothing too bad will happen from a bad massage but no benefit and you won't enjoy it, but there certainly could be times where it actively hurts or is painful and causes damage. Q: Does a hairdryer hurt my hair? There has been debate about the effect of hairdryers on hair. Certainly when you have the hairdryer on a very hot setting or if you hold it too close to the head then you can start to feel your scalp burning which is not a very pleasant feeling, and extreme heat isn't good for any part of the body. Therefore when using a hairdryer try not to overuse it or hold it too close set on hot - this is probably where the risk of damage comes from as you can frazzle and dry out the hair by drying it for too long when wet. esire is the burning internal quality that pushes you and produces restlessness with things as they are. Desire empowers you to meet the challenges of life and fulfill a larger purpose. Your desire is the planting of your seed. Analogous to necessity and invention, intensity of desire determines the success or failure person. Only a strong desire can make anyone focused on the task at hand. A person with a strong desire will not budge from work when discouraged by other people or unpleasant situations. Instead, one would draw more courage and enthusiasm from all the negatives and move forward with more vigor and strength. You can realize your dream only if there is a strong desire. Having a desire determines the right attitude in a person. If the desire is just right, person is inspired to put more effort to make his dream come true. In fact, the intensity of the desire determines one’s attitude to try and try till success. A strong desire instills more confidence to move forward with courage. The result is inevitably success in any work. There is no ’if’ and 'but' in their life making everything possible. Increase your desire to succeed. The story of any achiever is the story of an accomplished 'Desire'. Any success, any meaningful achievement, begins with a desire. Desire grips people with an insatiable appetite for action. If you have sufficient desire to succeed, nothing can stop you from becoming a winner, a leader, or a high performer. How to increase the ‘Desire’ to be successful? Anticipate the Rewards It is good to be aware of the sacrifices and the hardships involved in becoming a successful personality, but one must also focus on the rewards that follow success. Knowing the rewards you would stimulate desire and one will be encouraged to work harder to achieve them. Learn everything about your goal. Enhance your information and knowledge by doing research. Talk to every expert you know on the subject. Read articles published in newspapers and magazines pertaining to the topic. Keep a tab on current events pertaining to the same and interact with those who have the same interest. An understanding about your chosen area sparks more interest. The more interest you have, the greater your desire to succeed. Observe how professionals perform You should take every advantage of every chance you have to see and hear the outstanding individuals in your area of interest. When you study successful people in action, you get to know about what it takes to succeed. Identify and select an achiever in your area of interest and study the progression and the reasons for that person's success. Constantly remind yourself of your Desire Kindle the flames of desire and light the fires of enthusiasm by reminding yourself daily of your dreams. Imagine the heights you can scale, the rewards you can reap, and the peak of happiness you can enjoy. Strive continually to activate, nurture, and maintain the desire that will make you a winner. For successful people, intense, burning desire is a habit, a way of life, and a deliberate course of action. In any worthwhile endeavor, ultimate victory goes to the individual with the most desire! However, there are occasions where desire is not the only factor to decide success. Sometimes things may go out of human control or certain things happen beyond a man’s imagination. This is very rare. Your desire for success must be so strong within you that it’s the very breath of your life. It must be your first thought when you wake in the morning, and your last thought when you go to bed at night. Remember Desire is the first ingredient of Success. icromax officially announced the ICS tablet for the Indian market. The all new tablet is called the Funbook Pro. This 10.1 inch tablet has HD video playback, a HDMI port and front facing camera for video chat. The tablet is run on the new Android delicacy the Ice cream sandwich. The capacitive touch screen has got a resolution of 1024x600 pixels which is quite good. The tablet is powered by a 1.2GHz single core processor and 1 GB internal memory. 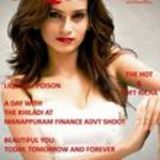 The Funbook pro will be a major success owing to its price structure which is below the 10,000 rupees mark. he updated version of Instagram makes you trip down the memory lane. The extremely popular app will have now got a geo-tagging facility and that goes beyond adding effects. Users have the option to disable the geo-tagging facility in case of privacy issues. The 3.0 version of the app will have a new Photo Map tab added to their profile page. Instagram is facing competition and will definitely come up with more features. he government of India has crack downed on illegal telemarketers. Altogether 51,000 telephone connections were disconnected and 88,300 subscribers were served with a notice. Using a normal connection for telemarketing purposes is illegal under the Telecom Commercial Communications Customer Preference Regulations, 2010. If anyone needs to make any commercial communication, they should be registered as a telemarketer with TRAI. he latest addition to the Angry Birds family is finally here. Rovio has given the update to Angry Birds Seasons and Angry Birds Seasons HD. The update also brings 20 brand new schoolyard level, just in time coinciding with repopening of education institutions. Rovio is famous for the updates they give out. They also have announces a Mars update, where the birds take the attack to the red planet. icrosoft has made a big jump forward, by replacing Hotmail with an all new service called Outlook.com. The outlook service is lot fresher, cleaner and simpler. The design incorporates Windows 8 philosophy. Within hours of its launch the new email service has got 1 million sign-ups. Along with its cleaner platform the email service is very is to sign up. Will it beat the gmail that is what everybody wants to know. A like is casual expression of interest. The like tells that the customer is interested in the product or service the business is offering. Once a customer is added to your fan base, businesses can forward mails at the click of a button. The good thing about this feature is that you can send targeted messages based on age, gender etc. Like button is the easy to incorporate in your website. With all content management systems give free widgets for Facebook like. Keeping the customer engaged: Analysis says that people who hit like are active than a normal facebook user. Having a active customer is good for the business. The person will be usually connected with lot friends and will enable good visibility. A good fan base can drive more traffic back to your website. Imagine the number of people seeing the post, when a post gets shared by your fan base. Every post in your page will be appearing the fanâ&#x20AC;&#x2122;s news feed. An average user will have 100 friends, so once the person shares the feed all friends will be able to see it. he origin of anarkali dresses dates back to Mughal times when the legendary mughal dancer of the Akbar court, Anarkali danced wearing a long kurta with well defined bust and waistline, gathers flowing down the waist in the shape of an umbrella. Anarkali dresses have been in and out of fashion but never lost their sight. Anarkali dresses looks most beautiful in chiffon fabric. Other fabrics like georgette, crepe and cotton can be used. The choice of colour depends on the customers taste. Suggested colours can be bright combination like black and maroon, pink and blue etc. Or pastel combinations can be used. It is an outstanding and splendid ethnic wear which can be worn for parties, weddings or any other occasion .And now a days we can see a lot of Bollywood actresses using anarkalis in their flims. It can be used by all age groups. Best suited for teenagers. In this particular anarkali the fabrics used are chiffon, net and brocade. Colours-black,silver and magenta. Designer Malavika. VEDA Boutique, Club junction, Edappally. ushil Kumar is an Indian World Champion wrestler who won the gold medal in the 66 kg freestyle competition at the FIL A 2010 World Wrestling Championships, a silver medal in the Men's 66kg Freestyle Wrestling event at the 2012 London Olympics and a bronze medal in the Men's 66kg Freestyle Wrestling event at the 2008 Beijing Olympics, which made him the first Indian to win back to back individual Olympic medals. He led the Indian contingent at the 2012 London Summer Olympic Games and was India's flag bearer for the London Olympics opening ceremony on July 27.
agan Narang is an ace Indian shooter, especially in Air rifle shooting, supported by the Olympic Gold Quest. He was the first Indian to qualify for the London Olympics. He won the Bronze Medal in the Men's 10 m Air Rifle Event at the 2012 Summer Olympics in London with a final score of 701. 1 on 30 July 2012. Gagan Narang won the bronze medal in the 10m air rifle event at the 2012 London Olympics with a total score of 701.1 becoming India's first medal winner at the 2012 games. aina Nehwal is an Indian Khel Ratna badminton player who attained a career best ranking of #2 in December 2010 by Badminton World Federation. Saina is the first Indian to win a medal in Badminton at the Olympics. She achieved this feat by winning the Bronze medal at the London Olympics 2012 on 4 August 2012. She is the first Indian to win the World Junior Badminton Championships. Saina was also the first Indian to win a Super Series tournament, by clinching the Indonesia Open with a victory over higher-ranked Chinese Wang Lin in Jakarta on 21 June 2009. Yogeshwar Dutt Y ogeshwar Dutt is an Indian wrestler. He won the bronze medal at the 2012 Summer Olympics in the Men's 60kg Freestyle wrestling. He belongs to a Brahmin family who comes from a village Bhainswal of Sonipat district, Haryana. He started wrestling from a very young age of 8 years. His inspiration was Balraj Pehlwan who was from his native village and he was trained under the guidance of coach Ramphal. nique Times in association with Asia Vogue is conducting this exciting contest for models and aspiring models. 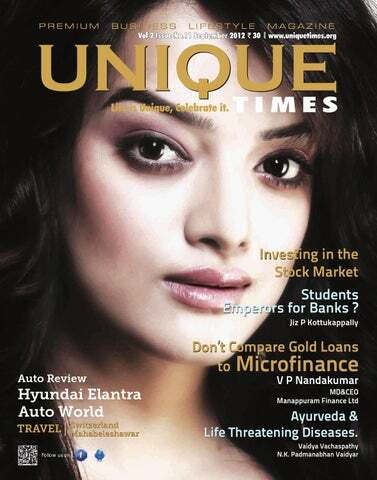 Unique Face of the Month gives the contestants a chance to be featured in Unique Times; Indiaâ&#x20AC;&#x2122;s premium business lifestyle Magazine. The magazine has got world class contents. Asia Vogue is fashion agency promoted by Pegasus group. Asia Vogue is a platform for all fashion enthusiasts to come together and network. Pegasus is a preeminent event management company who conducts super pageants like Miss South India and Miss Queen of India. Pegasus is also the force behind MBA Award and Minnalai film award. to a show where Tiger is faced with a twist. The rest of the film is about how he cracks the case. The is a typical Salman Khan film, with lots of ingredients to attract the Salman Khan fans. The film also made into 100 crore club quite easily in 5 days. The film had huge expectations because it was Kabir Khanâ&#x20AC;&#x2122;s third film after Kabul Express and New York. The producers Yash Raj films spent a lot of money to shoot in exotic locations The plus point of the film is Salman Khan again doing justice to his role, superb direction from Kabir Khan and great songs from Sohail Sen and Sajid-Wajid. The film delivers what is promised. The film is an in and out entertainer. verybody wants to achieve perfection. In an upcoming film titled Saheb Biwi Aur Gangster 2, Mahie Gill, in order to look perfect in the drunken scenes, started drinking at 8 in the morning. Mahie admits that the idea of really getting drunk for the scene was entirely hers. She says that her crew had a ball of a time seeing her getting a high early in the morning. he Middle East’s first female speed racing system is called the speed sisters. One of the member of the team Maysoon Jayyusi looks like a model with her bright orange pedicure, Michael Kors handbag and skinny jeans. Once behind the wheel, she speeds her SUV ahead of the traffic in the West Bank city of Ramallah. She heads the Speed Sisters racing team. nushka Sharma has always played characters that are bold and beautiful. The actress who debuted in Shah Rukh Khan Film Rab Ne Bana di Jodi and became famous through some great acting in Badmaash Company and Band Baaja Baaraat is doing a similar character in a Yash Raj Movie. This is again with SRK. om Cruise was unable to pay a ÂŁ220 restaurant bill, not because he didnâ&#x20AC;&#x2122;t have the money, but the Indian restaurant in St Albans Hertfordshire, East England didn't accept his American Express card or dollar bills. He made a surprise visit to the restaurant with his friends and his daughter. However the restaurant management is quite happy that the Hollywood star dropped in. ight days is what it took for Director Kabir Khan's Ek Tha Tiger to gross a huge Rs 150 crore at the box office. A few films in India do that kind of business. The Salman Khan and Katrina Kaif starrer has now become one of the all time blockbusters in Bollywood. Salman is continuing his Midas touch with this film, as his previous four films netted more than 100 Crores. Rumors are that his salary will be 100 Crores for his next film.